Here is the finished product. 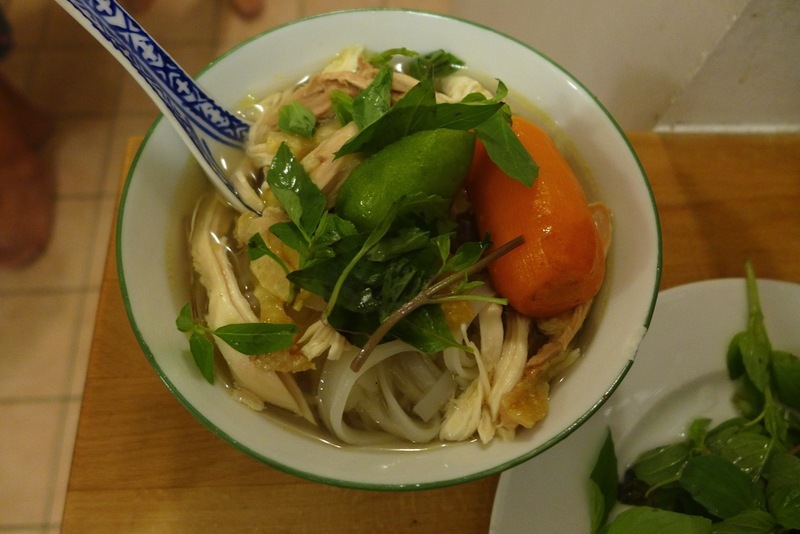 Traditionally the spice mix is suited to a beef pho, but Huan uses it for chicken pho as well. For what it’s worth. he thought this French bird the best chicken he had ever tasted.